“Snake…? 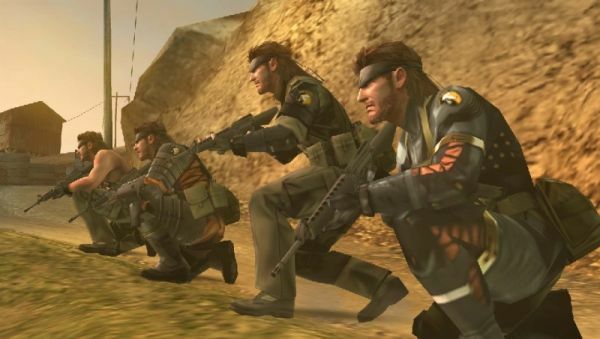 Snakeeeeeeeeeeeeeeee.” This is the sound of a million Metal Gear Solid fans when they hear the news that the latest in the series, Metal Gear Solid: Peace Walker, has been delayed. Originally planned as a March 18th release in Japan, it has slipped by over a month to April 29th. With 4 player co-op announced there is reason once more to brush the dust from the PSP and play with pals. See here for Konami’s press release and witness for yourself their great regrets and deep apologies (strewth, it is only a 6 weeks delay). As of yet there is no news about the now tentative US (May 25th) and European (May 28th) release dates. With May being 2 months after the new Japanese release, there is hope yet for those who have already booked a weeks holiday in preparation of watching hour long cutscenes. Page created in 0.4077 seconds.